Also included are my Fundamentals in Portrait Drawing, Volumes 1, 2, 3 & 4. These E-books (each averaging 75 pages) gets you STARTED NOW! PLUS for a limited time I am also including my Atlas of Facial Anatomy. 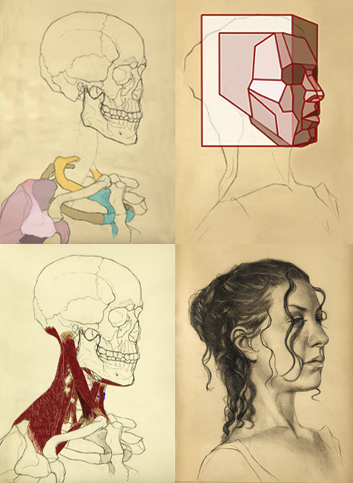 This 84 page Ebook is your comprehensive reference for portrait drawing anatomy. The skeletal and musculature of both the frontal and 7/8’s profile view are presented indepth with detailed, full color images and descriptions that can be magnified for easy study. 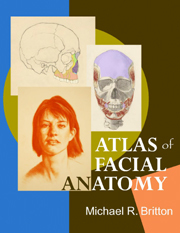 The Atlas of Facial Anatomy sells individually for $19.97. Purchased separately these bonuses are worth over $60!! This 4-hour workshop was originally published on DVD for $157. It is NOW ONLY $57 for the instant video download. Ideal for PC's, iPads, Mac's, etc. Plus get over $60 of portrait drawing bonus lessons and my Atlas of Facial Anatomy! Mastering Portrait Drawing: the 7/8's Profile is the second of my Mastering Portrait Drawing Workshops. Part one introduced you to all the fundamental techniques, methods and knowledge you need to successfully draw beautiful realist portraits in the Frontal Pose. Now we take you on the next step of the journey and teach you all the procedures and know-how you will need to excel at the fine art of realist portraiture in the 7/8s profile view. Take your drawing to the next level! Mastering Portrait Drawing 2 : the 7/8's Profile View is only $57! Mastering Portrait Drawing 3: Advanced Techniques & Considerations is the third and final workshop of the Mastering Portrait Drawing series. Herein are several challenges: Foremost is the casual gesture that is underpinned by a convex, 3-dimensional facial angle and the immediacy of an inquisitive gaze through a pair of glasses. The eyes and the glasses should be rendered simultaneously to effect a natural feeling in your portraits. An example to consider is the refraction of light passing through the lenses affecting the forms of the eyes. Glasses that are simply drawn over the eyes will always appear clumsy and unconvincing. But that is only one aspect to these glasses. This is a forward leaning gesture that presents a 3-dimensional pose that significantly affects the facial angle. The entire head and each feature needs to correspond to the overall receding perspective. Envision a cube in space that is tilted forward. Many artists have trouble with drawing a convincing relaxed and candid smile. Knowing which form and shape corresponds to which muscle grouping helps immensely but you also need to know where to place the emphasis of line and tone. Otherwise a cheerful smile can quickly deteriorate into a sarcastic smirk. 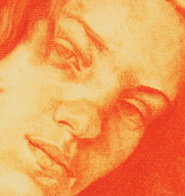 In this three and one-half hours workshop I comprehensively discuss and demonstrate the entire step-by-step process of drawing the portrait in sanguine conte from its initial beginning to completion. Get the Mastering Portrait Drawing 3: Advanced Techniques & Considerations Instant Download. Only $67. 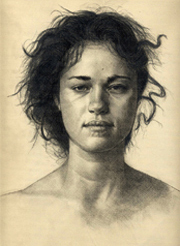 This carefully designed program is your comprehensive portrait drawing education guided by a recognized master artist. Be prepared to leave all your excuses behind. 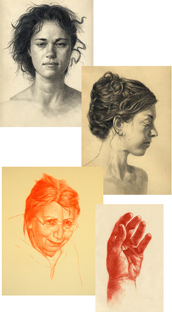 The Portrait Drawing Mastery Studio contains everything you need to become a fully trained portrait artist. The Portrait Drawing Mastery Studio is for the serious beginning artist seeking a complete education and online training in realist portrait drawing. 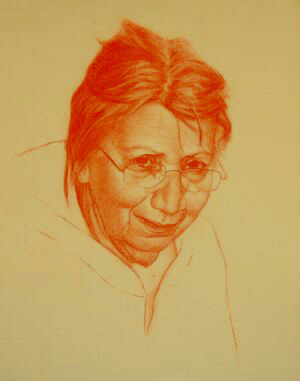 Mastering Portrait Drawing 1: the frontal pose establishes your foundational skills; Mastering Portrait Drawing 2: the 7/8's Profile further hones those skills; and Mastering Portrait Drawing 3: Advanced Techniques & Considerations takes you the full distance, working in sanguine conte, to a professional level. Purchased separately these three workshops are $181just for these instant downloads. 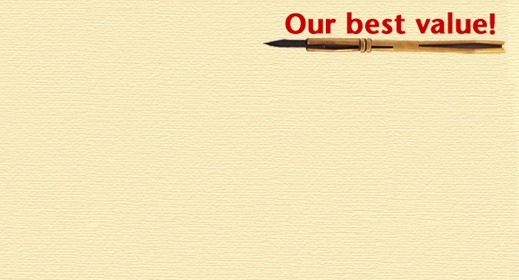 Take advantage of Our Best Value! ONLY $97! 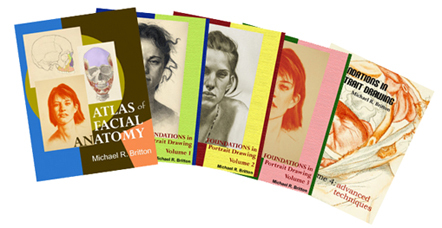 PLUS I will include my Atlas of Facial Anatomy Ebook. PLUS I will also include my Fundamentals in Portrait Drawing, Volumes 1, 2, 3 & 4. These Ebooks, each averaging over 75 pages, get you STARTED NOW! AND for a very limited time you also get my Drawing Hands instant download workshop. An extra $27 value! Purchased separately these Ebook bonuses and Drawing Hands Workshop sell for over $85!! A total value of over $265 for ONLY $97!! The Practice of Tone for Portrait Artists is a four-hour workshop that demonstrates the entire process of rendering form. Working within the facial arena I begin by quickly sketching in the features, followed by blocking-in the primary light/dark pattern before embarking on the long process of applying sanguine conte, stumping it in and then delicately lifting it with painterly strokes of a kneaded eraser. 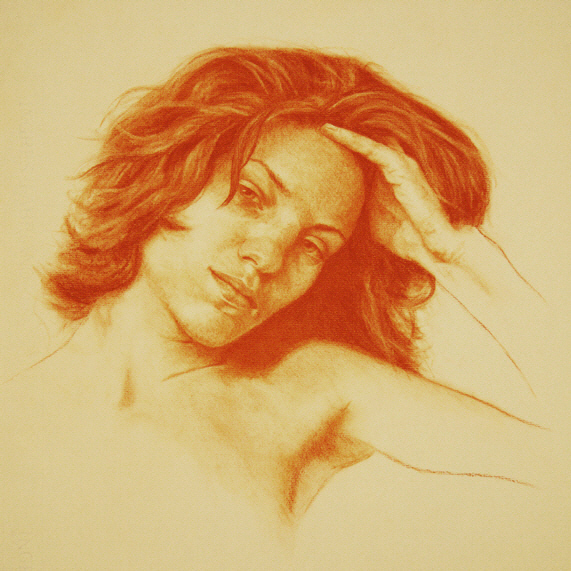 The Practice of Tone for Portrait Artists 4-hour instant download workshop is ONLY $57! 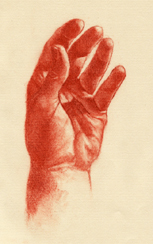 My Drawing Hands Instant Download Workshop is a comprehensive 2-hours intensive on drawing hands. Comprised of four lessons beginning with the anatomy of the hand the workshop proceeds to a structural line drawing; then to a tonal rendering in graphite pencil. The workshop concludes with a comprehensive demonstration lesson on bringing a hand to full resolution in sanguine conte. A must for any Portrait or Figure artist and anyone who wants to master Drawing Hands. Also included is the companion ebook Anatomy of the Hand. Drawing Hands instant download workshop ONLY27! This 84 page Ebook is your comprehensive reference for portrait drawing anatomy. 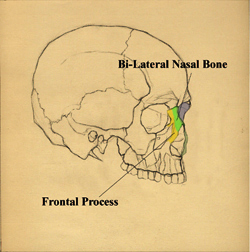 The skeletal and musculature of both the frontal and 7/8’s profile view are presented indepth with detailed, full color images and descriptions that can be magnified for easy study.